This Irish Christmas ornament is ideal for an golf enthusiast. 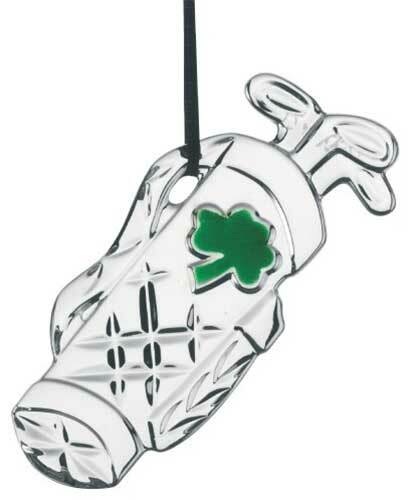 This Irish golf gift is a 24% leaded crystal golf bag ornament with a green shamrock. The Irish golf ornament stands 3 3/4" tall and it is made by Galway Crystal. The Irish crystal ornament is gift boxed with a shamrock history card, complements of The Irish Gift House.